I can put words together decently, but I am not good at drawing. I talk about that a bit more in this episode of The Thoughtful Travel Podcast but if you’ve seen my attempts you’ll know it’s basically true! 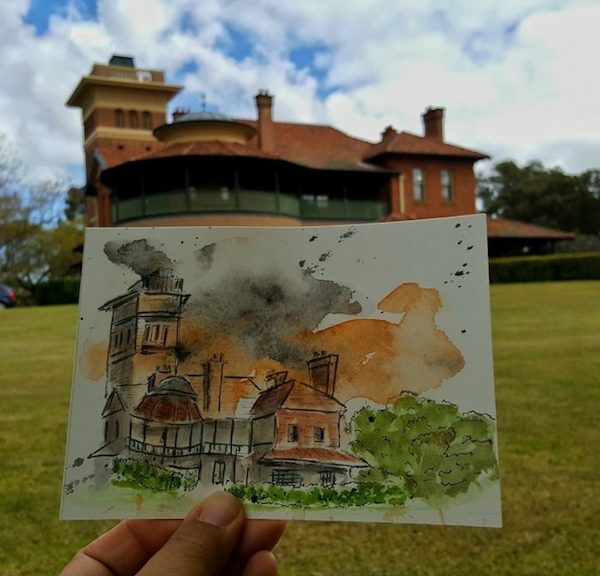 However, this doesn’t stop me, because I’ve learnt over the years that sketching on your travels can be a truly remarkable way of actually seeing the places you’re visiting much more clearly. 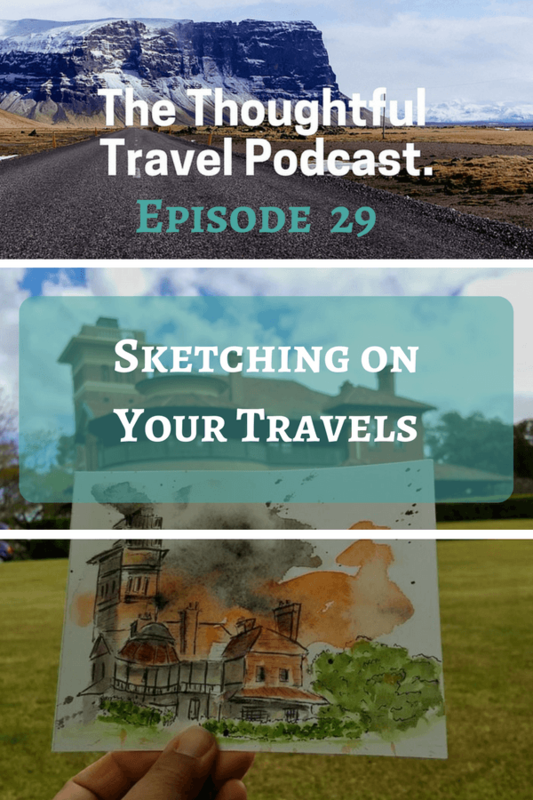 Whether or not you have any artistic talent, I really believe that sitting down and doing some sketching on your travels is a great idea, and in Episode 29 I chat with two travellers who do just that (although it must be said that they both have great artistic talent!). Candace Rardon is an amazing artist who has sketched, drawn and painted her way around the world. She chats about the connections you can make if you sit down in a new place to sketch something of the scene around you. Aggie Lim is a former psychologist and long-time travel-lover who has come to sketching in more recent years, but is completely converted. She chats about the various benefits of taking a sketch book with you wherever you go.